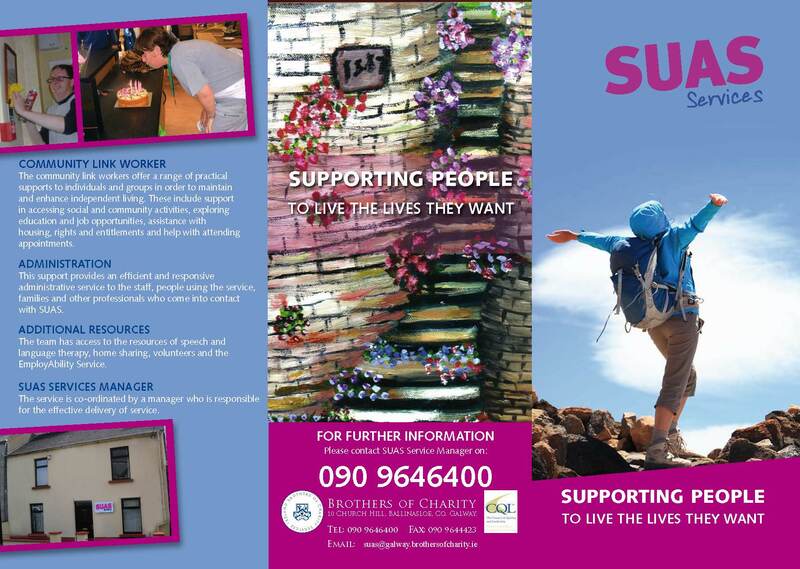 SUAS Services, is an outreach programme which provides multidisciplinary supports to adults with intellectual disability living in the community in East Galway. SUAS aims to promote well-being and prioritises people’s independence, choices, safety and opportunities using a person-centred approach. 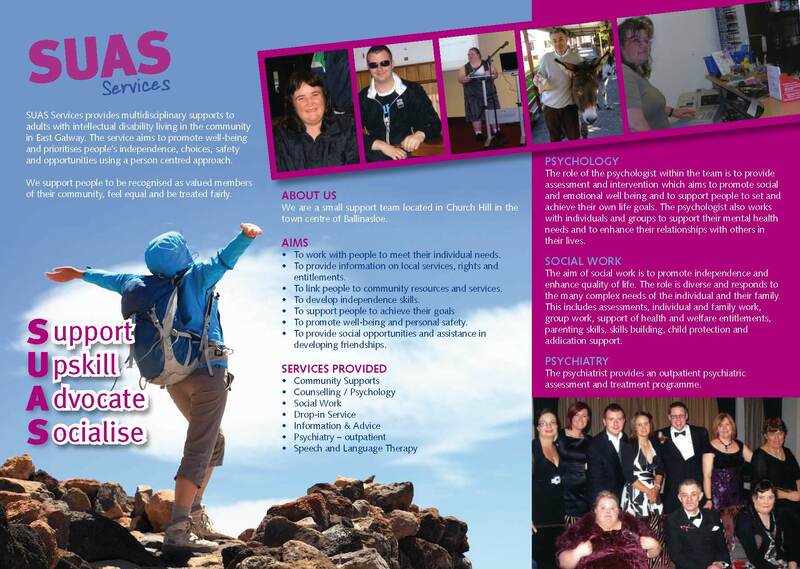 The Services support people to be recognised as valued members of their community, feel equal and be treated fairly. Access to SUAS. The individual looking for support can apply to SUAS directly. A family member or another professional can apply on their behalf with the person’s consent. The person must have a diagnosis of a learning disability. Admissions meetings take place twice a year where applications are reviewed and a decision made on the appropriateness of the application and if a service can be offered. The type and level of service offered is dependent on the level of need of the individual and the availability to meet that need. Any complaint regarding any aspect of the service can be discussed in the first instance with the employee providing the service or the Manager of the service. Formal complaints should be made in writing to the Director of Services. Please follow link below for more information on our Complaints Policy. Research Projects involving SUAS Services: None at present.